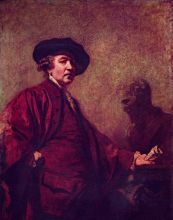 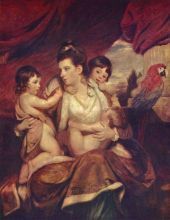 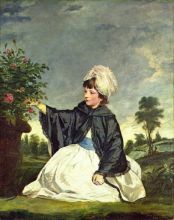 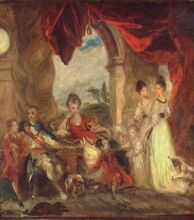 Sir Joshua Reynolds RA FRS FRSA (16 July 1723 – 23 February 1792) was the most important and influential of 18th century English painters, specializing in portraits and promoting the "Grand Style" in painting which depended on idealization of the imperfect. 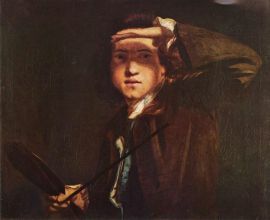 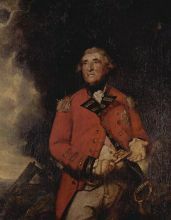 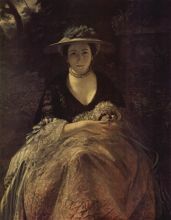 He was one of the founders and first President of the Royal Academy. 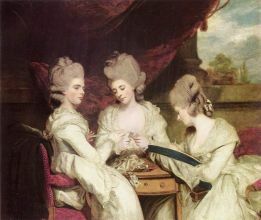 George III appreciated his merits and knighted him in 1769.